Dulcie (Ethel) Florence Gillard Nation married George in 1941 in Chatswood. They were a pair of well known antique dealers in Sydney 1960 - 1990s. Trenerry is recognized for his use of tone and texture and in particular his ability to use colour to create atmosphere. He studied at the Julian Ashton School in Sydney in 1922, where he was influenced by Elioth Gruner. His fellow South Australian artist, Hans Heysen proved to be another important influence and despite never travelling overseas, his work shows an admiration for Whistler and an awareness of Van Gogh. He held his first solo exhibition at the South Australian Society of Arts Gallery in 1924. 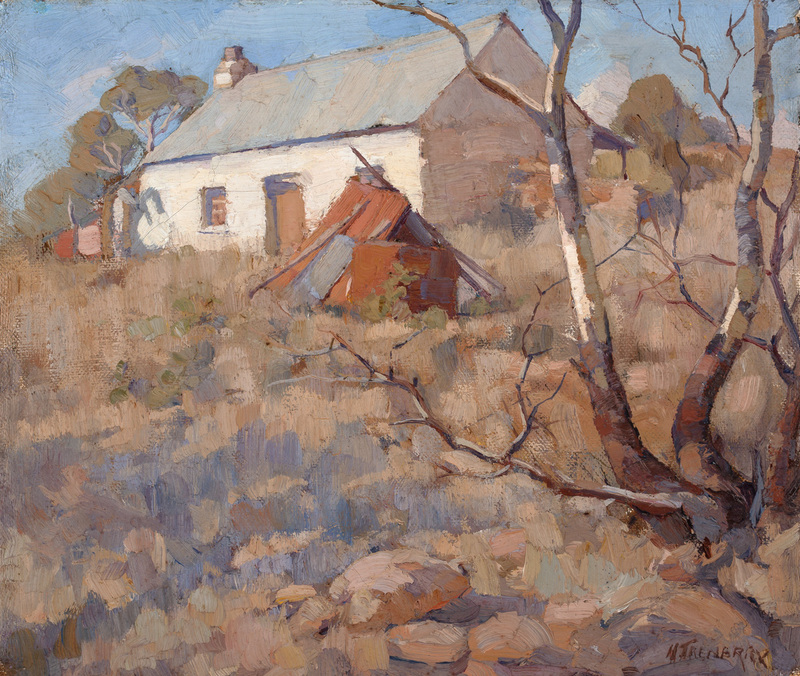 On the Edge of the Scrub depicts a hut nestled in the landscape of Willunga, an area Trenerry painted intimately throughout his career. Trenerry stayed in the hut depicted which was owned by the Nation family. The painting was possibly a gift or for rent.